In the early 1990s Montana cattle ranchers were in an uproar over the migration of buffalo to habitat in Montana beyond Yellowstone National Park's borders. Sounding the battle cry of brucellosis disease, cattle ranchers manipulated the Montana legislature into creating MCA 81-2-120. This new law delegates authority over the publics only wild buffalo population to livestock inspectors and the state vet. 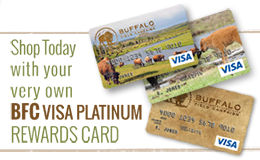 Soon after livestock interests got control over wild buffalo, Governor Marc Racicot and the state used MCA 81-2-120 as a legal battering ram against Yellowstone National Park for “permitting” wild buffalo to naturally migrate. A court-forced legal settlement created the Interagency Bison Management Plan that has been in place since 2000. The plan is for the American people to pay the Montana Department of Livestock and Yellowstone National Park to harm and destroy our country's last wild buffalo on our National Parks and National Forests. Following instinctive faithfulness to calving grounds, migratory buffalo must run a lethal gauntlet of Treaty and state hunters along the Park's borders to adjoining National Forest lands. Wild buffalo must further suffer the harm of captivity in traps on public and private lands. This near-threatened and ecologically extinct native species is further subject to population control experiments with sterilizing agents. Our heritage of wild buffalo is quarantined to produce new offspring for commercial domestic profit. An arbitrary line is drawn on the map beyond which migratory buffalo can never roam again. Sympathetic landowners who willingly share their private land with the buffalo are subject to intimidation by armed livestock inspectors and a cadre of government agents who trespass on private land to harass all buffalo out of Montana. The often-heard refrain is: “It's all part of the plan.” But this heavily biased plan is man-made and can be changed. Ignoring long standing condemnation of the government-led buffalo slaughter by American Indian Tribes and traditional leaders, the InterTribal Buffalo Council and Confederated Salish and Kootenai Tribes entered into deals with the National Park Service to take hundreds of “surplus” buffalo to slaughter this winter. The Nez Perce Tribe has also signed a slaughter deal. The Park is pursuing similar arrangements with other Tribal governments to set-up an operational quarantine - a livestock factory - to domesticate wild buffalo. Backing a trailer up to a trap in Yellowstone Park where buffalo are confined and transporting them to slaughter has nothing to do with tradition or the sacred or sovereign rights of tribes. Our tribal councils and leaders are occupied with many challenges and do not have ready access to adequate information about the Yellowstone buffalo herd's fate. Oftentimes decision-makers are distanced from their own councils and advisors, traditional and spiritual. Unfortunately, the decisions made on wild buffalo continue to serve the interests of the Montana Department of Livestock and the National Park Service first. This highly corrupt plan, and the law upon which it is based, would cease to function without the support of the U.S. Congress. Our representatives in Washington D.C. have misappropriated $40 million of the American people's money to fund a tragic and disastrous death policy for our national icon. A long overdue public process to review year-round buffalo habitat by Montana was recently blocked by cattle ranchers in collusion with the Board of Livestock. But even under the most “tolerant” alternative, wild buffalo would be confined to 0.4% of Montana's habitat. Montana cattle ranchers now intend for the public and the tribes to swallow a poison pill: a fragment of year-round habitat in exchange for continuously slaughtering buffalo. The boogeyman of brucellosis raised by cattle ranchers to seize management authority over the public's wild buffalo no longer exists. Today, cattle are being managed under a U.S. Dept. of Agriculture-APHIS approved and taxpayer supported plan. Ranchers benefit $9.50 to $14 per head by vaccinating cattle. Despite the few cases of brucellosis transmission from wild elk to cattle, Montana's Designated Surveillance Area rules have protected the state's brucellosis free status. Statewide, the cost-savings for Montana cattle ranchers is $22 to $46 million dollars and multiplying. The new rules have also removed whole herd cattle slaughter and diminished the threat of state sanctions against Montana cattle that contract brucellosis. Montana's cattle ranchers are being taken care of, but the public's one remaining population of wild buffalo is being massacred. Montana's Constitution mandates that we take special considerations to ensure the persistence of native wildlife species for future generations. We must rally to repeal the corrupting influence of MCA 81-2-120, a misbegotten law that is destroying our natural and cultural heritage. Montanans must act together and provide a welcome home for wild buffalo.